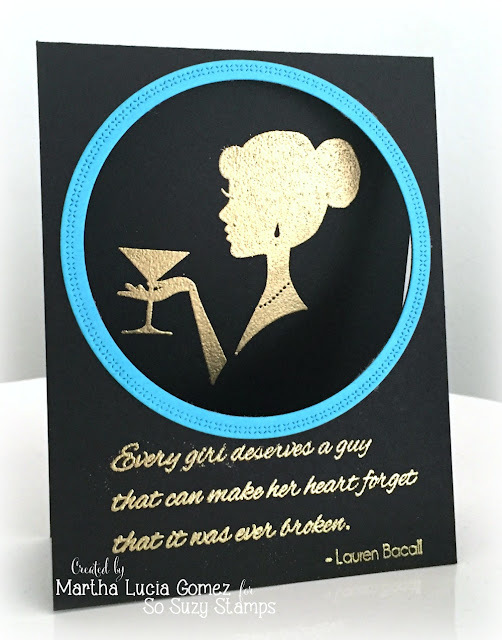 This is a single layer card with gold embossing and die cut details. I used two amazing stamps from this month's release: Heart Forget and Martini Lady - two unique stamps that are perfect for creating elegant things. 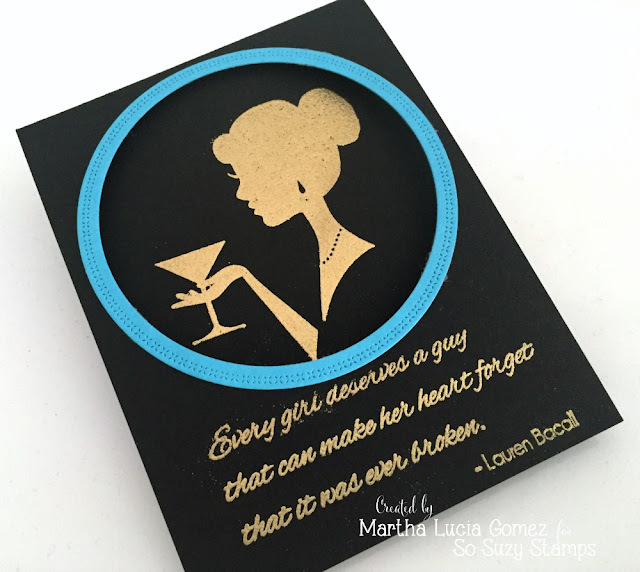 If you want to know how I made this card, come on over to my blog and you'll get more info!